Item # 317228 Stash Points: 2,495 (?) This is the number of points you get in The Zumiez Stash for purchasing this item. Stash points are redeemable for exclusive rewards only available to Zumiez Stash members. To redeem your points check out the rewards catalog on thestash.zumiez.com. Jesus loves you, along with rap music. Make it known in the Jesus Loves Rap White T-Shirt from Artist Collective. 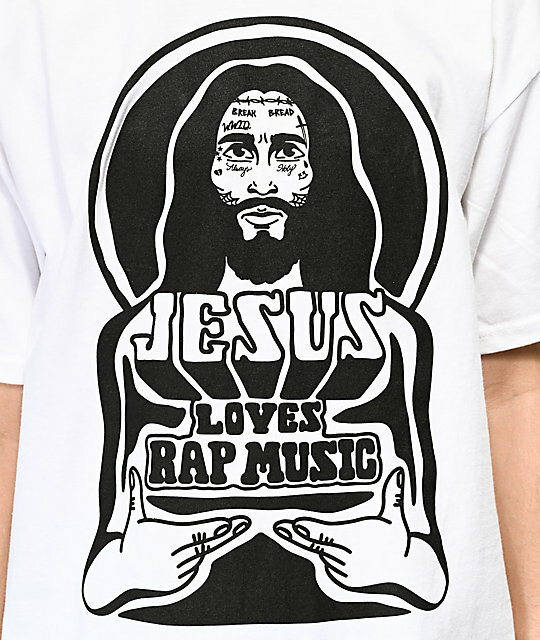 This crisp white tee features a screen-printed graphic at the chest of Jesus with rapper-style face tattoos, and text that reads "Jesus Loves Rap Music." A relaxed fit and cotton construction gives this tee a comfortable fit, perfect for all of your casual days. 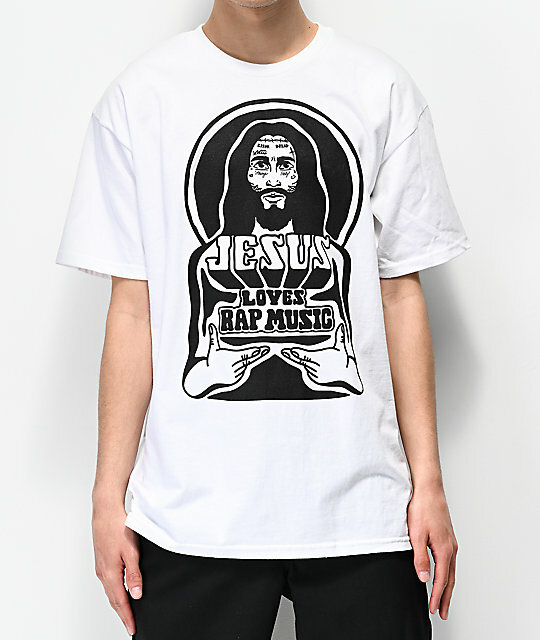 Jesus Loves Rap White T-Shirt from Artist Collective. 30.5" (77.5cm) from the shoulder to the bottom hem.